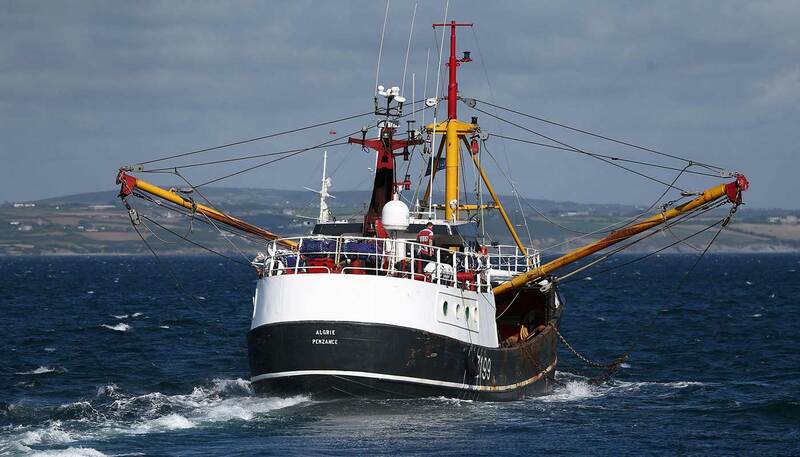 This week we have seen an abhorrent display of behaviour, as French fishing trawlers in the English Channel, trapped their UK counterparts; furious at them stripping scallop beds before they were authorised to do so. UK boats were forced to call in the British Navy for protection and some reported “criminal damage”. But what is truly disgraceful is that French fishermen resorted to violent measures against British fishermen, who were legally in waters which are an EU common resource. The Common Fisheries Policy (CFP), provides equal access to a common resource in all EU waters and has created a completely chaotic imbalance for UK fishermen. At present, the UK provides 50 per cent of the EU waters but receives only a 25 per cent shares of the Total Allowable Catch (TAC). This means for example that 90 per cent of the cod, haddock and whiting that is caught in the English Channel goes to the EU, whereas we in the UK only see a meagre 10 per cent of it. Fishermen were some of the most vocal opponents to remaining in the EU because for the past 40 years, they have seen EU fishermen catching 60 per cent of the fish in British waters, even as close as 6 miles from our own coast line. It is little wonder that British fishermen began targeting scallops in wider EU waters; for far too long, they have been deprived of fair access to the abundant resources in our waters. It is time we honoured their decision to leave the European Union and create a system of rules and regulations in our waters that allows our fishing industry to thrive. The problem is though that the Government’s current proposal, the Chequers plan, which creates a protracted transition period under European rules, would be fatal to our fishing industry. A more effective method of delivering for British Fishermen is to repeal the CFP as quickly as possible and take a position of default under international law; this would mean we automatically gain control of our own water and resources within our own Exclusive Economic Zone (EEZ), out to 200 miles or the Median Line. This would lead to a rebalance of the TAC, which would increase the value of landings to South coast ports alone from £133 million to £355 million. When an approximate multiple of four is applied for the total processed value, this is some £1.4 billion. Additionally, we should introduce a new “refined effort control” system to the mixed fisheries surrounding British shores. This would replace the quotas fixed by EU policy and allow fishermen, who have been forced to discard around 1 million tons of edible fish into the sea dead each year, with one based on the amount of time vessels are allowed at sea. So long as we implemented mandatory reporting on all landings, we should be able to put an end to discards. By removing the inefficient quota system implemented by the EU, we should be able to allow fishermen to catch less fish but land more to create a profitable industry, whilst at the same time improving the marine environment to support future generations. One only has to look at Norway and Iceland to understand how successful these policies can be. Iceland for example, asserted sovereign control of its territorial water out to 200 miles and built a strong, responsible fisheries policy, managed by high-tech and agile systems to allow for rapid temporary closure of fisheries in response to excessive commercial catches. This allows Icelandic vessels to move on if they are catching too much of a certain species at short notice. This has created a thriving fishing industries in Iceland. In order for us to follow-suit however and allow our fishing industry to thrive, we must regain full control of our entire EEZ. Our fishermen must not be placed in the position where their French counterparts are able to to come within 6 miles of our shores for our own resources. We must address the current imbalance and ensure that future access to UK waters is negotiated on a reciprocal basis, which would avoid repeats of this week’s unfortunate scenes. The must mean that we chuck Chequers and rapidly restore sovereign control. Only then can we bring in proven policies which will bring prosperity and employment back to our most remote coastal communities and restore the health of our marine environment.